So here it is, the final post in my Blogmas project series for 2017! We got up at around 9am and sat around together in the living room to open our presents. We then put on some Christmas tunes and started making breakfast – a full English of course, and getting ready for the day. After breakfast we finished getting ready and hopped into the car to visit some relatives – since my grandparents had visited on Christmas Eve we didn’t see them on Christmas Day this year, but we did visit my Aunt and Uncles house to see them, my Granddad and some of my cousins. When we got there, they’d only just sat down to start opening their gifts! However, we all sat around for a cuppa and a chat, and to exchange our presents with them. We only stayed for around half an hour but it was nice to quickly see them. 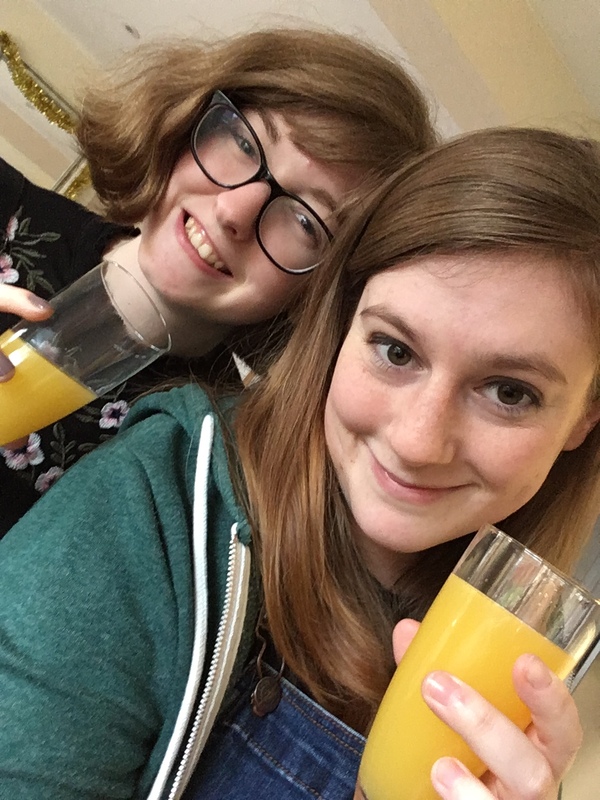 When we got home we decided to crack open the bucks fizz since we had forgotten to have that in the morning, then we played 5 Second Rule, a board game I mentioned in my family board games blog post a few weeks ago! After a couple of games of this, me and my sister decided to play some chess and then switch to video games for a while! After a scrumptious Christmas dinner, complete with pigs in blankets and crap Christmas cracker jokes, we got all the washing up done, then sat down to watch The Grinch. This was followed by a family favourite show – Gogglebox, there was a special 2 hour long episode to round off the year on Christmas Eve which we had missed but managed to catch on Channel 4 On Demand. Half way through Gogglebox we’d finished off a box of chocolates so decided to have a little buffet of all the leftovers and cheeses etc. we had in the fridge in the living room whilst we enjoyed the show. Me and my sister then kicked our folks into the other room to watch the Strictly Come Dancing Christmas Special they’d missed, and we caught up with the Doctor Who Christmas Special from earlier in the day and the Victoria Christmas Special. Both of which were superb. By that time it was nearly 1.30am so, we figured it was time to call it a night! We didn’t have time to have a Christmas walk as we’d hoped to do but, we’re actually planning on going for a walk out somewhere this afternoon instead. So that was our Christmas Day! I had planned on getting more photos that what’s here but, to be honest I was relaxing and enjoying time with family, without the need for phones and social media. And that’s it from me for my Blogmas 2017 project and indeed it’s the last you’ll hear from me on this blog until the New Year so, I’ll take this opportunity to say I hope you’re all enjoying Christmas and have a lovely New Year as well. Some aspects of this Blogmas project didn’t quite go to plan and there are some parts I haven’t been very happy with since I know I could have done them better but, I’m glad I’ve kept to it and I’ve enjoyed finding the time to write about what I’ve been doing and, it’s really helped me get into the Christmas spirit so, thank you everybody for reading and I hope you’ve enjoyed some of the posts!